Hi, I’m SarahI am a proud mum of three and lover of coffee, cake and country walks with my cockerpoo. I have been practising yoga for over fifteen years and have certainly experienced the many benefits it brings. Doing yoga makes me calmer, happier and helps me cope with daily life in a positive way. I am passionate about sharing the benefits of yoga. When I started practising yoga I had been suffering from panic attacks, insomnia and was generally pretty stressed. After attending regular weekly classes I started to destress, become reenergised and began sleeping and eating better. I loved the head space an hour on the mat gave me and still do. I completed my Yoga Alliance accredited 500-hour teacher training with Ruth White, herself a student of BKS Iyengar, in 2011. 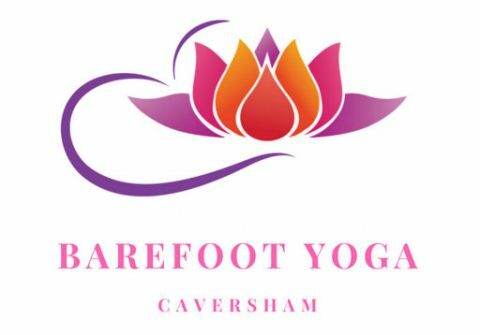 I teach weekly classes at Caversham Health and Fitness and community classes in Caversham and regularly attend classes, workshops and retreats to develop and deepen my personal practice. I have been fortunate enough to attend classes and training with Katy Appleton, Anna Ashby, Gary Carter, Philip Xerri, Danny Paradise and Steffy White. I am first-aid trained and fully insured. Yoga brings you back into balance and gives you space to step away from the fast-paced world we live in and really be in the present moment. It brings you back to the essence of you.